Chobham have now remained unbeaten at Home for over a year, a record that any club in the country would be proud of. Chobham certainly are! What this record does do is make opponents more ‘up’ for coming and stopping that record from increasing and Brighton caused the home faithful some heart stopping moments. The game began with both sides making raids in to each other’s half but with little to show due to the defensive qualities on show. On 15 minutes Chobham won a penalty but Alec Thomson’s kick went just wide. It was the visitors who opened the scoring after 21 minutes when full back Alex Finch broke through the Chobham defence that pinch and left a gaping hole for him to run through and score, he failed with his own conversion attempt (0-5). 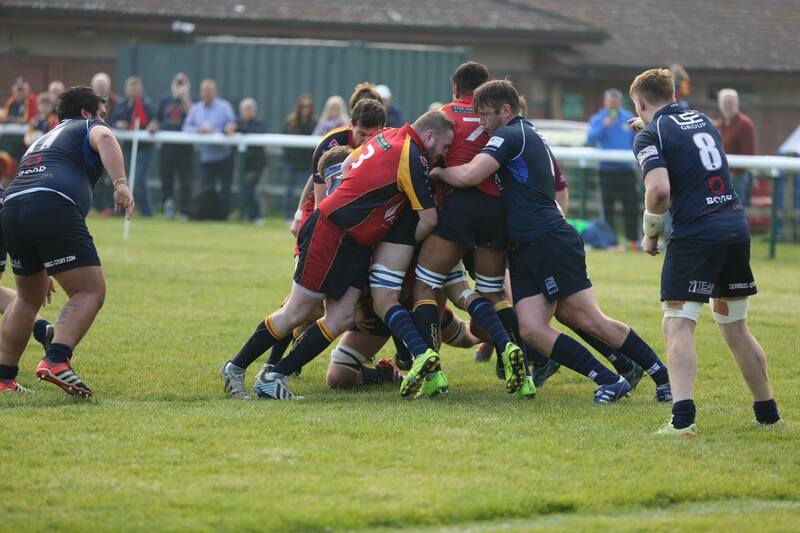 Thomson began Chobham’s fight back and with penalties on 30 and 33 (6-5) the home side took the lead. Chobham were now looking a little like the one we have all seen dominate so often so it was a setback when the lead was lost just before half time when some ill-discipline gave Brighton a chance to take the lead again – Finch took the chance well with a penalty. So the visitors led at half time. Chobham needed to re-focus and a half time ear bending by coach Ryan Gregory and Skipper Tony Paul looked to have worked as Chobham began the 2nd period in the ascendency. On 43 minutes the Chobham faithful were to witness a magical moment, with advantage being played, the ball I the hands of Lock Gregory and with him between the opposition 10 and 22 he launched a high kick towards the left hand corner, the ball taken by Liam Monahan was passed swiftly out to James Dunne who beat two defenders to score. The world’s best fly half’s would have been proud of that kick!! The conversion attempt saw some confusion between touch judges and so with a little doubt it was not given, Chobham led 11 points to 8. Brighton were playing their part in this game which was end to end with some superb rugby being played, Chobham just keeping ahead of the pace increased their lead on 65 and 77 minutes with further penalties to increase the Chobham lead to 17-8. Brighton who played for long periods with only 14 men were not lying down and with the clock ticking round to 80 they scored a converted try to bring the game to 17-15 and a few nerves were fluttering. A deliberate charge off the ball following the Brighton try saw their No8 sent off for his 2nd yellow card. The offence also gave Chobham a penalty as opposed to re start, Thomson took the range pot, it going just wide, Brighton wanting to keep the ball in ball, knocked on behind their goal line and the final whistle blew, Chobham’s home record now intact and going into Year 2. 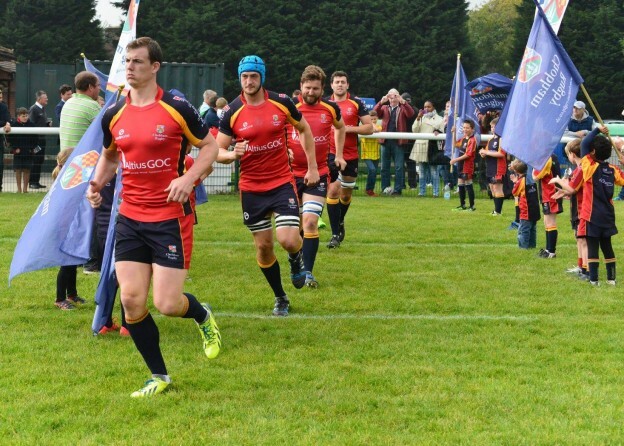 The club received a guard of honour from the large number of children who came to the club for a ‘Rugby taster’ session, these young boys and girls will be the lifeblood of this game and will be the future custodians of the sport. The Chobham Mini’s embark on their first festival next week at the Chobham/Reed and Cobham festival. The senior squad – some of who help coaching these youngsters, wish them all the success for the season ahead. 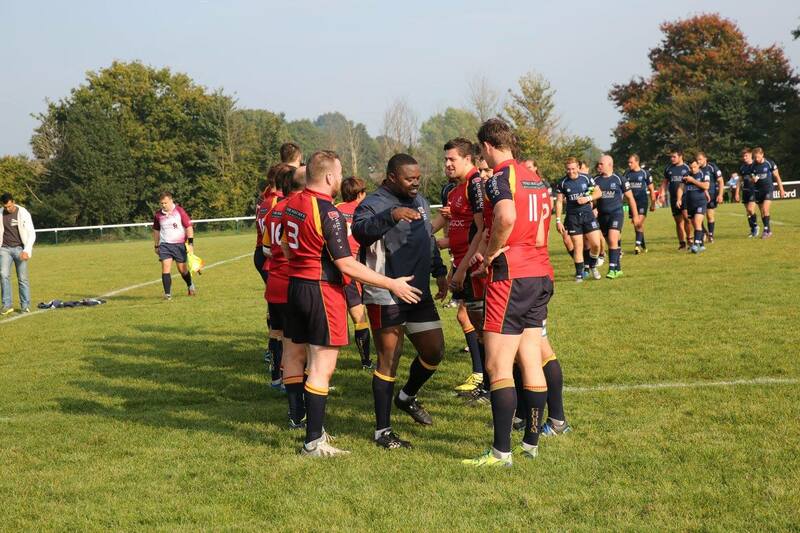 For the 1st XV, they visit Havant next week as they move into two periods of 1 week on 1 week off due to the world cup – now that is another story!!. 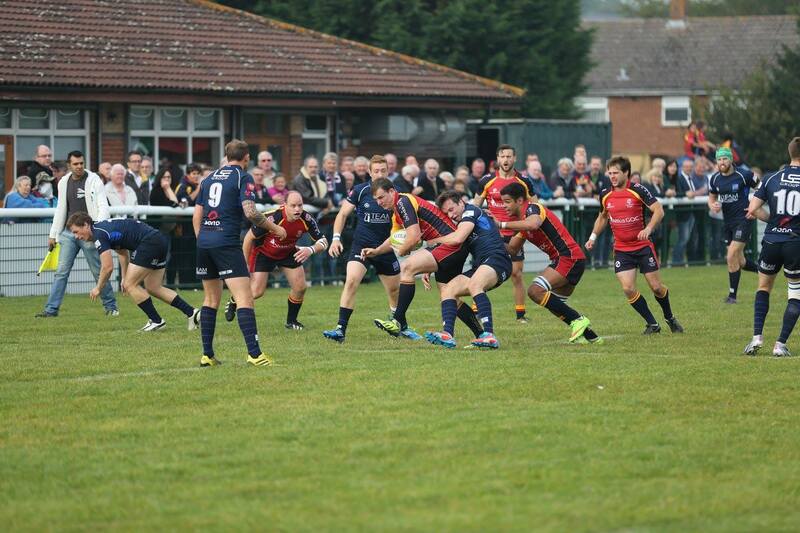 The 1st XV next home game is on Saturday 24th October when they play Sutton & Epsom.